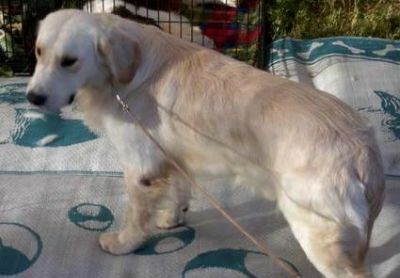 10/1/09 Brew has been adopted by a wonderful family in San Carlos, CA and is living a wonderful life as a pampered pooch! THANK YOU KRIS AND FAMILY! 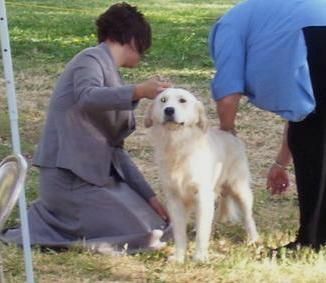 "BREW" won his International/National Champion title in September 2006, Antioch, CA - his FIRST WEEKEND in the show ring! 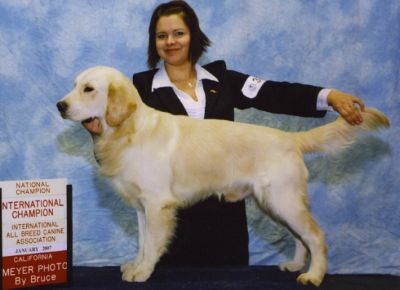 Brew finishes his UKC Champion title in Modesto, CA 4/13/08. April 2, 2008 Head study~ Right after his bath, and still a bit "fluffy". The wind was blowing the opposite direction from the blow dryer, so Brew's having an "interesting" hair day! 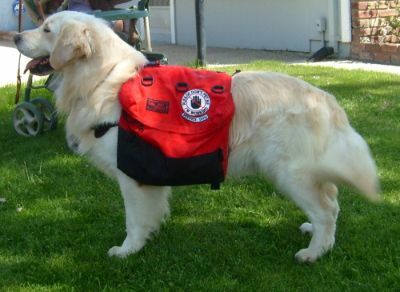 Brew with his Service Dog vest on. He is such a good boy! He is really doing well and will start going to work with me in a month. 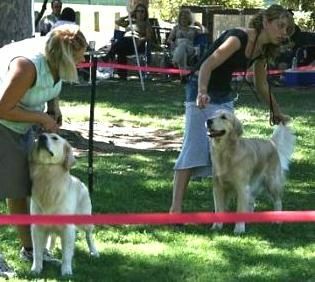 Brew gaiting in the ring, Modesto, CA 4/13/08, finishing his UKC Champion title. A nice chin scratch for being a good boy on the grooming table. 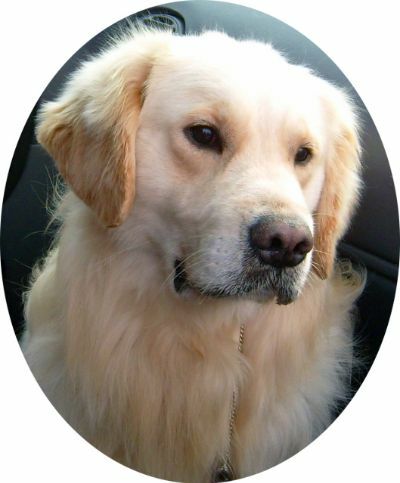 HAPPY BOY BREW Brew is a sweet Golden who is wonderful with other animals (including cats) and children - even babies. Stacking Practice, getting ready for the first show of 2008. Anyone want to guess where we are???? STARBUCKS of course!. Check out baby Julane. She wants to take Brew for a walk.... (That cute little Springer is Marble). Brew is first, being shown by Heather. 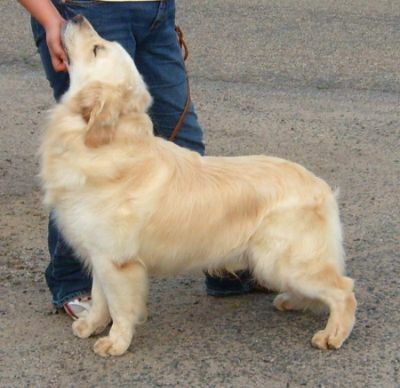 Pete's son, Jake, is 2nd, being shown by owner/Jr Handler Marika. 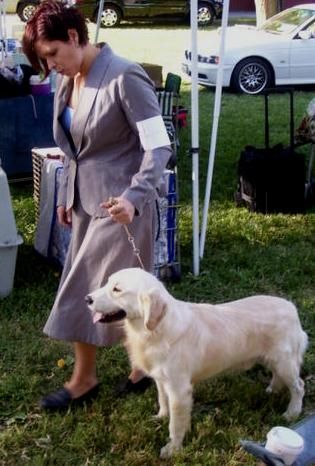 At the Rancho Cordova show 8/19/07. Brew passed all his clearances with flying colors! (OFA hips GOOD, heart, elbow, eyes NORMAL). Wonderful movement, correct gait, excellent angulation and topline. 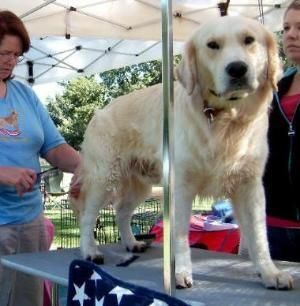 Brew is back on the grooming stand to get ready for the ring at the Rancho Cordova show 8/19/07. Getting ready for his first show in a while.... We let Brew grow up some more. 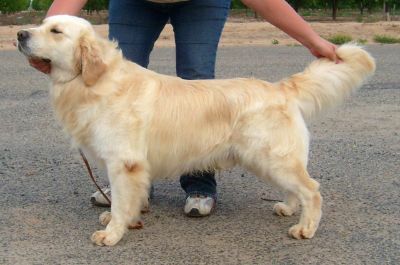 He is a handsome, moderate boy with wonderful angulation and bone. He is light in color with jet black pigment and beautiful eyes set well in a huge blocky head. A real sweetheart. 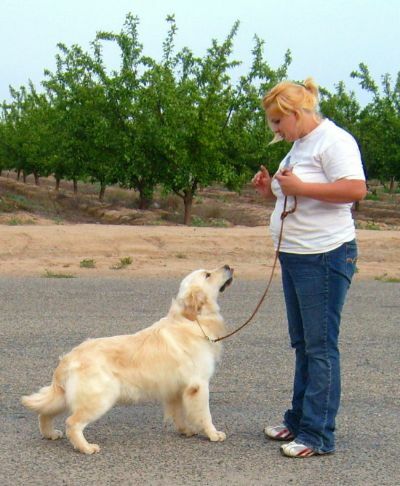 He is has a happy, steady temperament and loves to lay at my feet. HI! 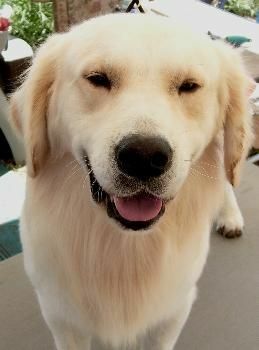 I'm Brew.... And, I love it when they give me the spa treatment... I get REALLY RELAXED and ready for a nap! 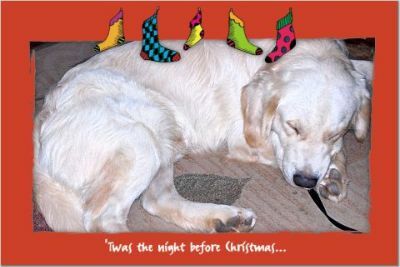 Brew is still a young dog in this photo, all legs and not yet filled out. 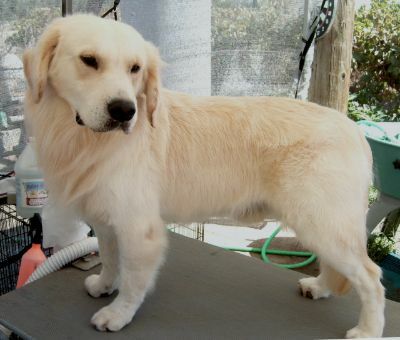 His feathering isn't in yet-- but those Canadian Goldens WILL have LOTS of hair-- by 3 years old. You'll wonder why you EVER wanted more! 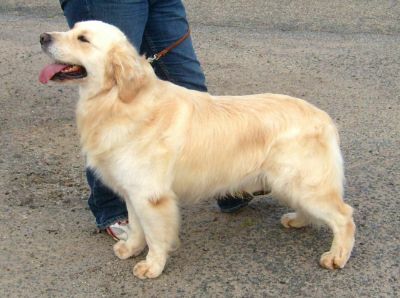 ;-) UPDATE, see the recent photos above of Brew at 3 years old, his coat did come in! 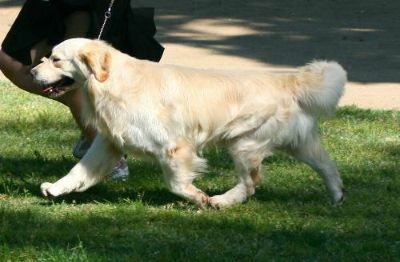 Photos of Brew at his first outing in the show ring. 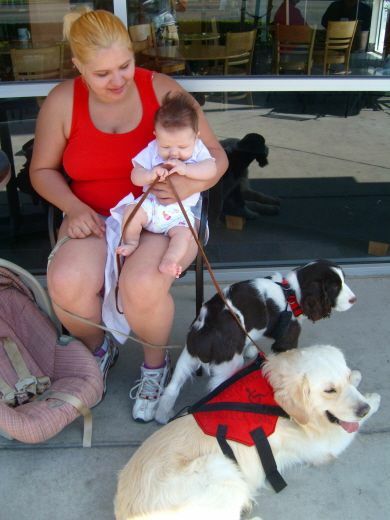 September 2006 in Antioch, CA. Looks like Brew needs some coffee!!!!! 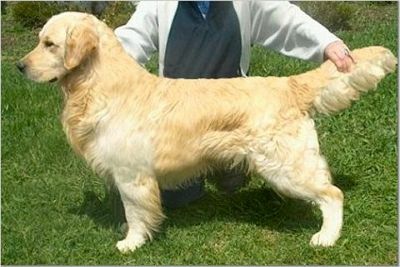 'Canadian Ch Kyon's Flaming Fire and Ice' "California Davey" is from Kyon Kennels in Canada, and is Brew's dad. 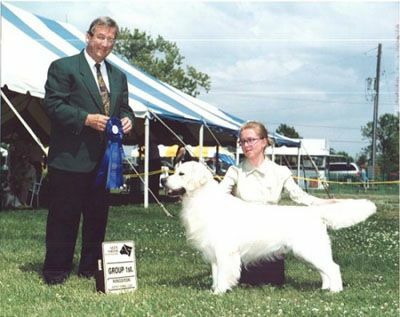 Can CH Dewmist Davenport, "Davey" is Brew's Grandpa. 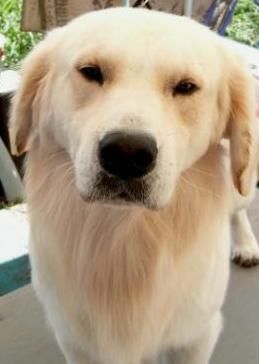 This is Brew's Great Grandpa, Swed. SH CH/Norw. 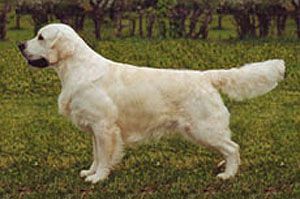 CH Marjamez Masterpiece, "Monty".